Back in November, Circle of Fountains decided to add a ritual component to our full moon esbats. In prior years, we would open a general circle for individuals to work on their own personal endeavors while two members taught the Novices. Starting with this ritual, we've changed the format! As always, our first Novice class is introductory and I personally lead it. The premise of the first class is to go over critical thinking skills, common misconceptions, a definition of witchcraft and basic ritual etiquette. It prepares our Novices for the upcoming year. 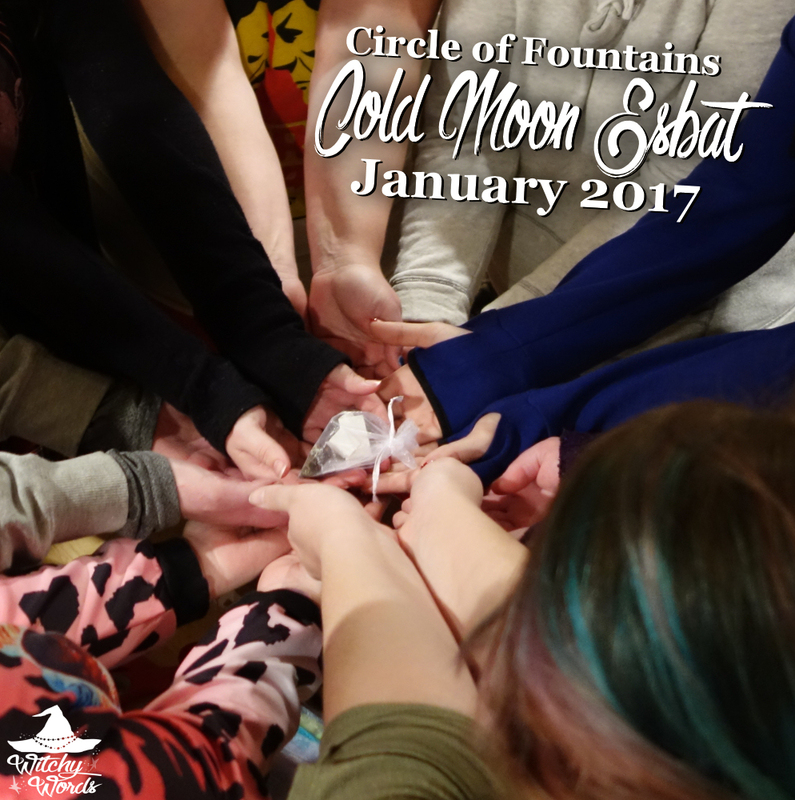 As a culmination of her studies, we asked our now-Guest Member Olivia, who just graduated the Novice program, to lead our first esbat ritual! ... And calling the quarters. Olivia then asked us to call upon any spirits, deities or ancestors we wanted to join the circle. Some members called upon a general god or goddess while others preferred specific deities like Loki. And a few of us chose to pass. Olivia then began the meat of the ritual. In Spell Building 101, she took a liking to sachets and poppets. For this ritual, she asked us to help her make a sachet for stability and focus. She asked some of us to write some key words that might help her on slips of paper. ... And those of us who chose to write something dropped our slips of paper in. After she had knotted it three times and ensured it was sealed, she asked everyone to help her charge it. Our esbat rituals will tend to be on the simpler side. We're not requesting fees from members and everyone has enough on their plate with their own Novice classes, sabbats and the public events. I think this was the perfect start to our added rituals for the circle! More esbats will be posted! For February, I'll be leading the ritual while Andrea and Amy will be leading a class on Energy Work versus Magic!